Home News First Trax (Small) Wins for Everyone! The more I do the First Trax report, the more I begin to look for subtle hints in conditions, weather, etc. Specifically, weather . . . that ever elusive state of flux. 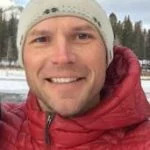 Let me just share with you one quote from High Country Weather, “Readers with a long memory may recall me saying a few days ago that expecting a precip changeover from rain to snow can be a suckers bet, and the trend right now is in that direction. All that being said, we can’t (or won’t) throw in the towel before the event has even started.” You can just read the anticipation this morning as us snowsport enthusiasts, want to almost ‘will’ the snowfall to occur. 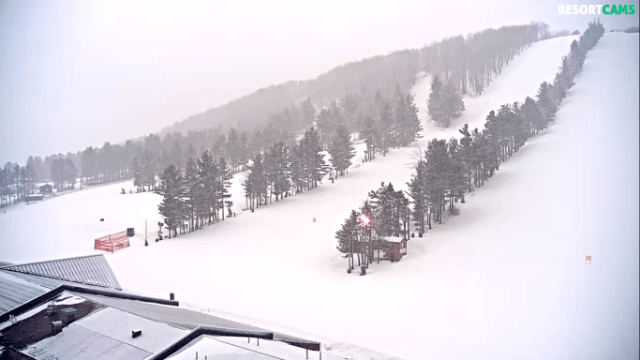 The nice thing is that some snow has already been reported in the region, as Snowshoe saw 1.5″ overnight (with ‘light’ snow still falling). 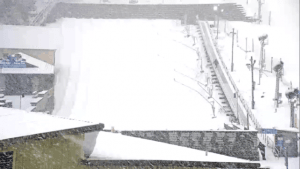 It IS dumping pretty hard right now (as expected) on the NC/TN line. Finally, the VA projections get downgraded a little as a half an inch is all that is expected. But . . . Cold temps are going to envelop the region on the backside of this ‘snowy’ front . . . which is a (small) win for everyone! 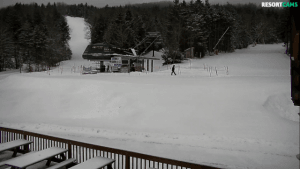 Snowshoe: 1.5″ of new snow (and still snowing). 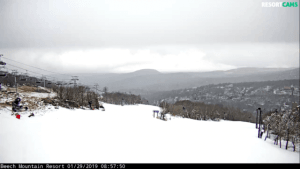 Canaan Valley: “It looks like a snow day in the valley today, with light accumulations and falling temperatures. For all the free-heelers (myself included) . 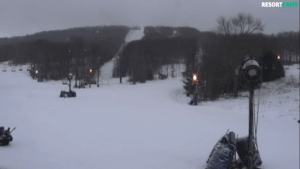 . .
Beech: From 12 (yesterday), to 13 runs open today. Added 2 more runs to the count yesterday (and today) . . . intermediates Powder Hill and Whistling Dixie. Ober: Good morning! Looks like the “snow event” has been delayed in getting here! The temp is currently 36°f and will continue to drop throughout the day. Chance of snow is 1-3″ and based on the forecast, by the time we open at NOON, our guests and our Special Olympic Athletes will be Skiing, Snowboarding or Tubing on a nice light blanket of fresh snow (1-3″). 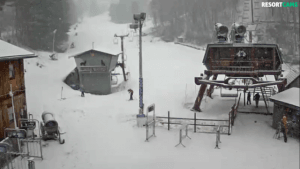 It’s coming down at Ober! Open until 9pm, with temps dropping throughout the day. We’ll be open 9:00 – 5:00pm for skiing and riding and 12:00 – 8:00pm for snow tubing. 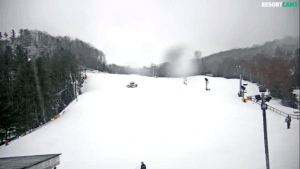 Tubing Tuesdays – $15 for all snow tubers today. Previous articleThe (bluebird) calm before the storm!